Limited edition includes Blu-ray, soundtrack, drama CD, and more. 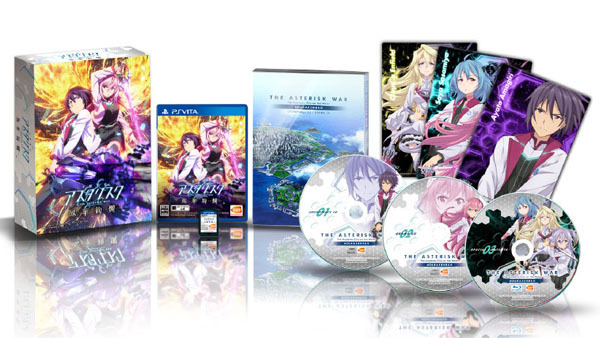 The Asterisk War: The Academy City of the Water Houka Kenran will launch for PS Vita in Japan on January 28, 2016 for 6,800 yen, Bandai Namco announced at the Tokyo Game Show. Watch a new trailer below. Visit the game’s official website here.